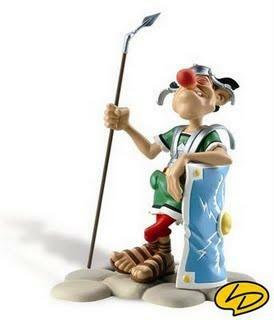 One of my favorite cartoons is Asterix. And especially the now famous words of the Roman soldier. « Uncle Lothars wants you! » – A Roman in rather bad shape. A blog differs mainly from a social network because what we write belongs to us (I think!). Social networks are here to help share information and it is quite possible that a blog is not for you (at least the writing part). While we continue to encourage reading, commenting and sharing our posts (starting with this one). There is also on the right, a wonderful selection of blogs written by (real) friends of mine. You can also subscribe to my blog (to the right as well), you’ll see it’s not complicated!